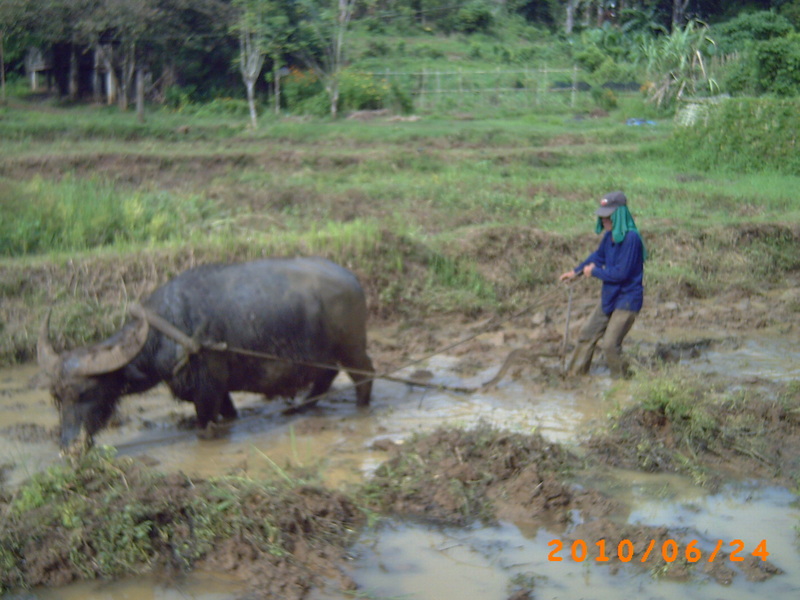 Due to the La Nina the dry season was short and too wet to plant our legume crop so we let the field fallow for the last remainding months before the rice. 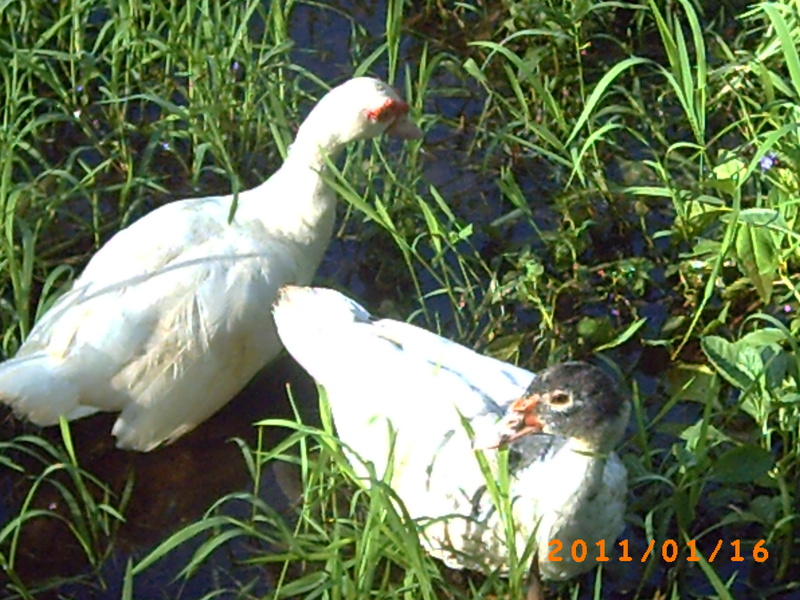 Use ducks during the cultivation of our field "Bird tillage"
Tours of our farm are very popular and the reasons to visit are varied. 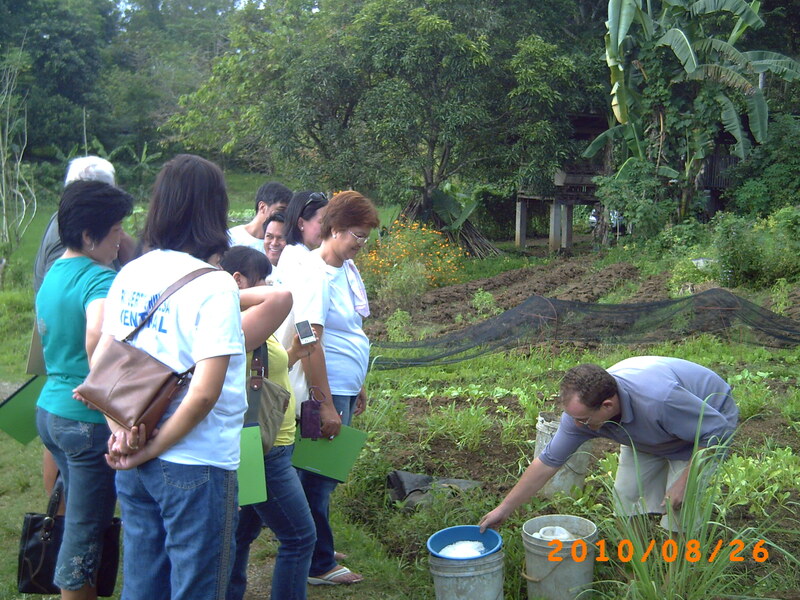 Some are curious about tropical agriculture, others are urbanites desiring to return to the land, or farmer groups sceptical about the productivity and yields of organic farming. 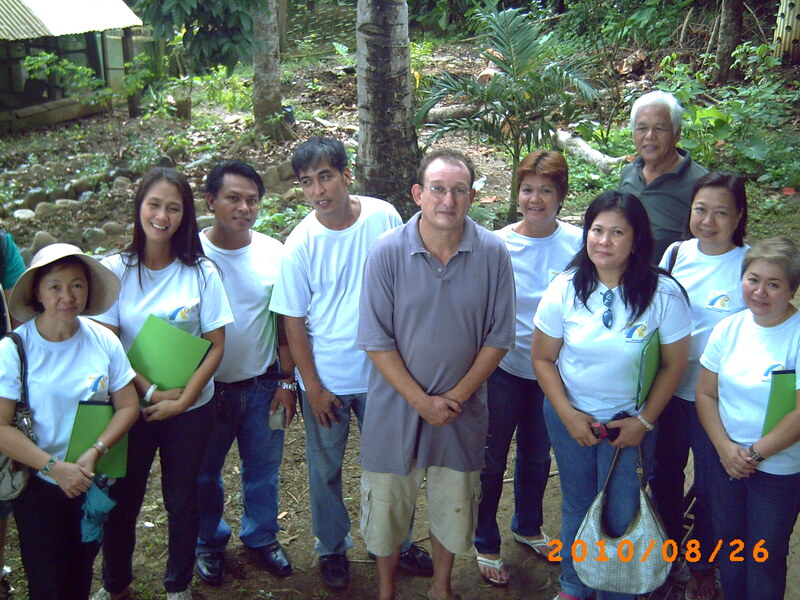 Last Saturday we had the Puerto Princesa Central Rotary Club visit the farm. 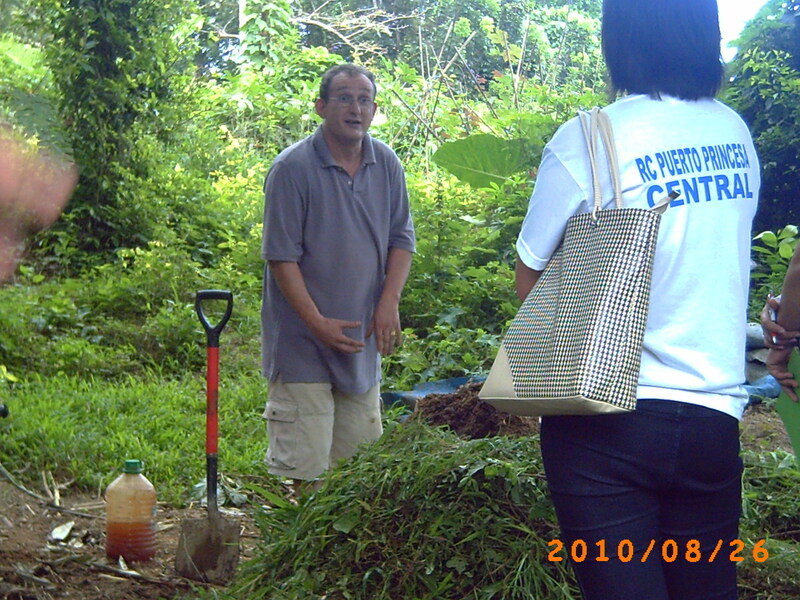 They also ask for a short lecture on waste management because they are keen to implement waste recycling in their household and later at community level. 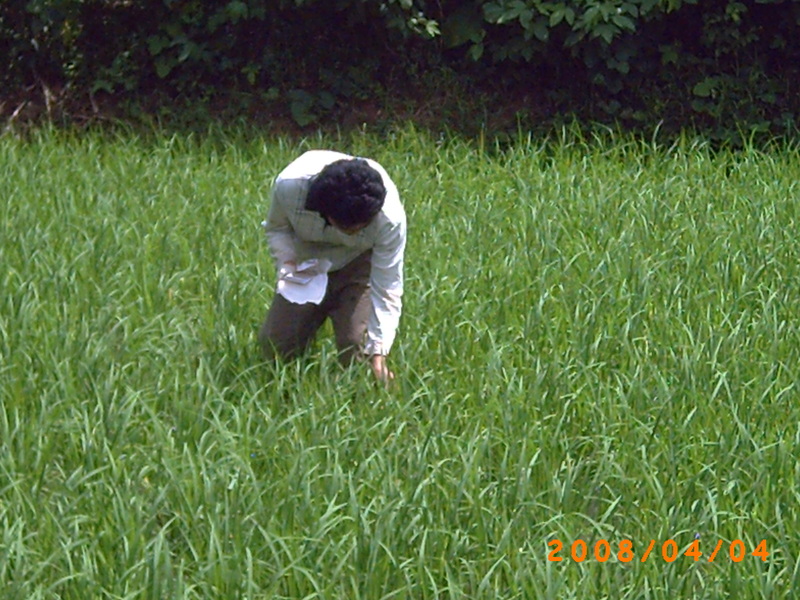 The rice requires nitrogen at the tillering stage and that Panicle Initiation. 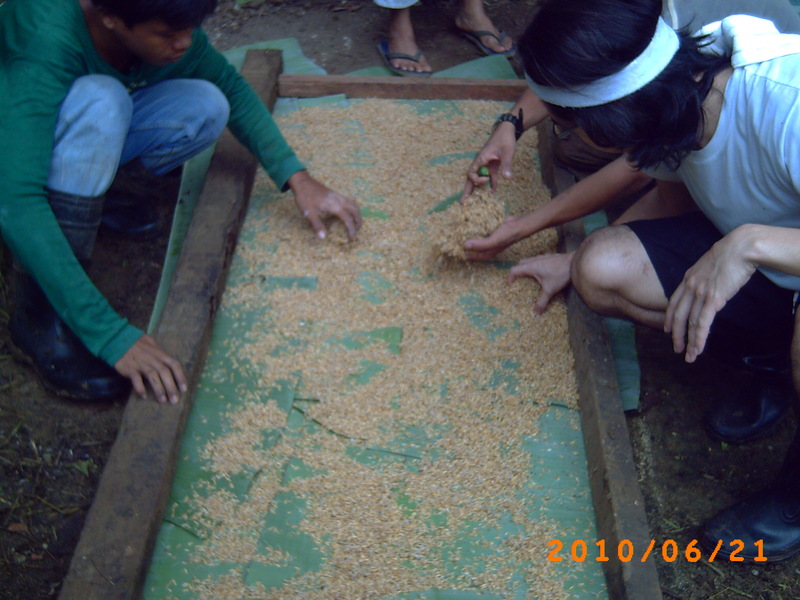 We spray the rice during these stages with Fish Amino Acid made from trashed fish. 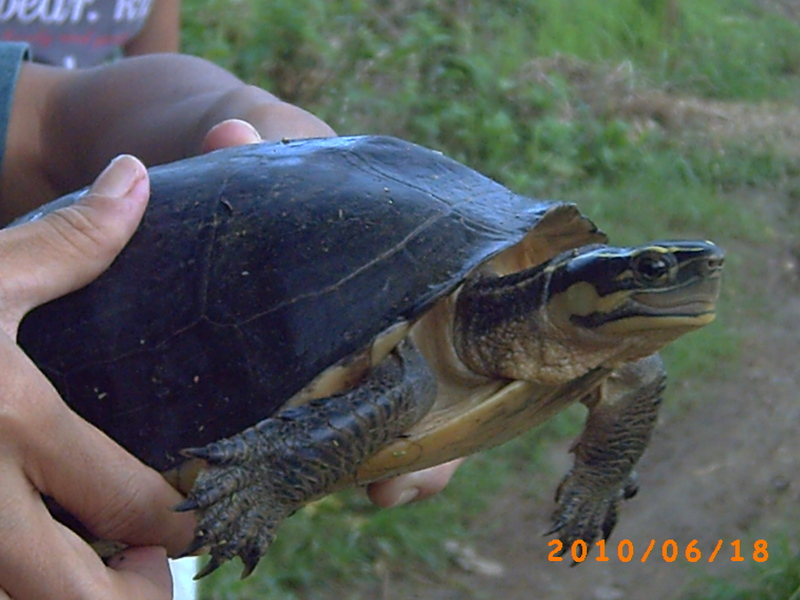 The fish can be substituted with snails which will feed the rice and help with snail control. 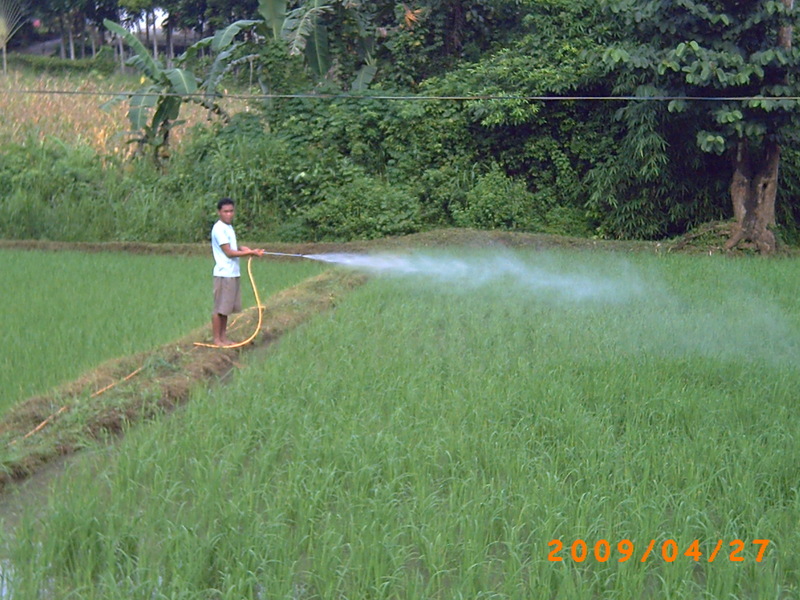 With the FAA we add EM5 and Fermented Plant Extract (FPE) for pest control, this is applied as a folia spray. 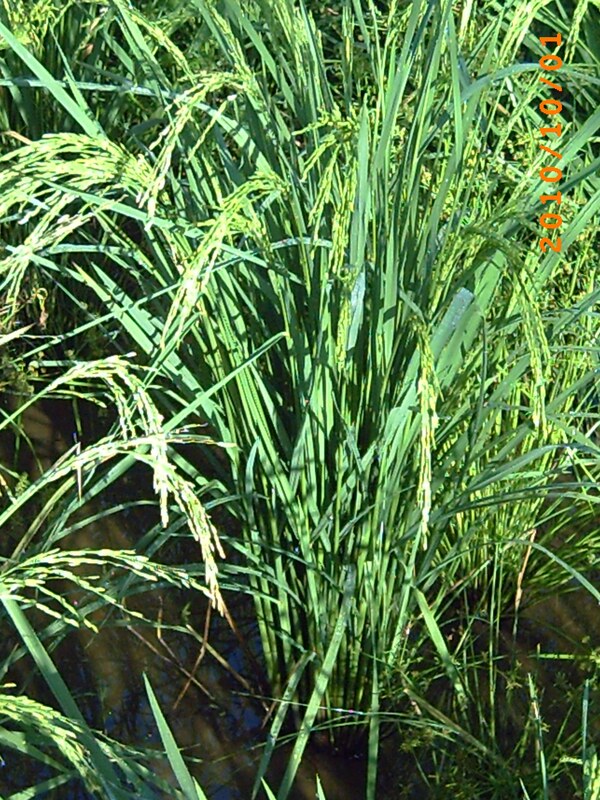 To control the rice stem borer we hang trichocards in the rice field. These cards are coated with the eggs of the trichogramma. When this parasitic wasp hatches it fly’s off to lay its eggs into the egg of the stem borer so destroying the stem borer egg. 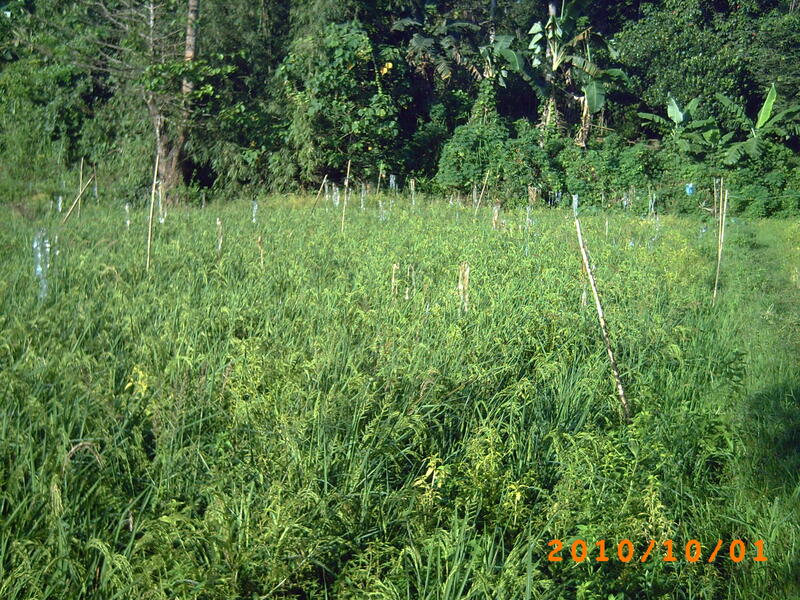 This is a very effective method of Biological pest control. 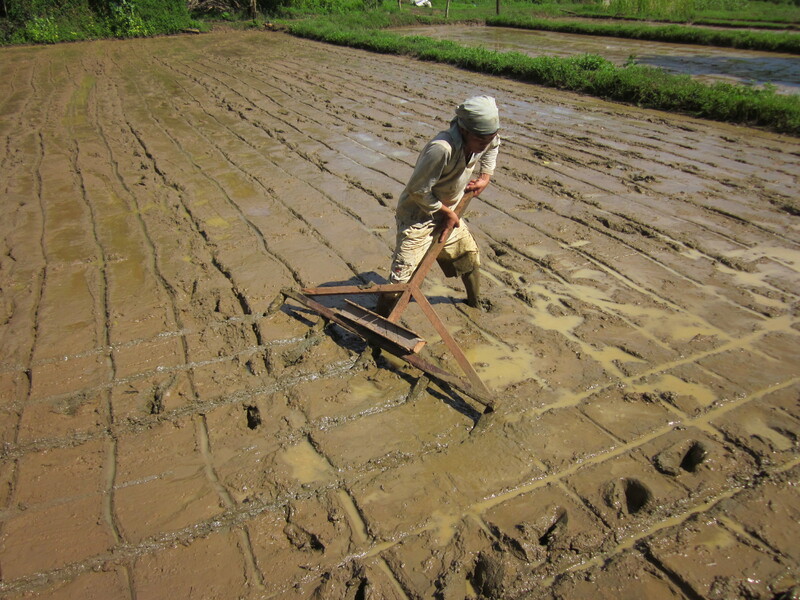 They are the lyrics of a Filippino folk song, the work is back-breaking in squishy mud under a sweltering sun, this is food production. 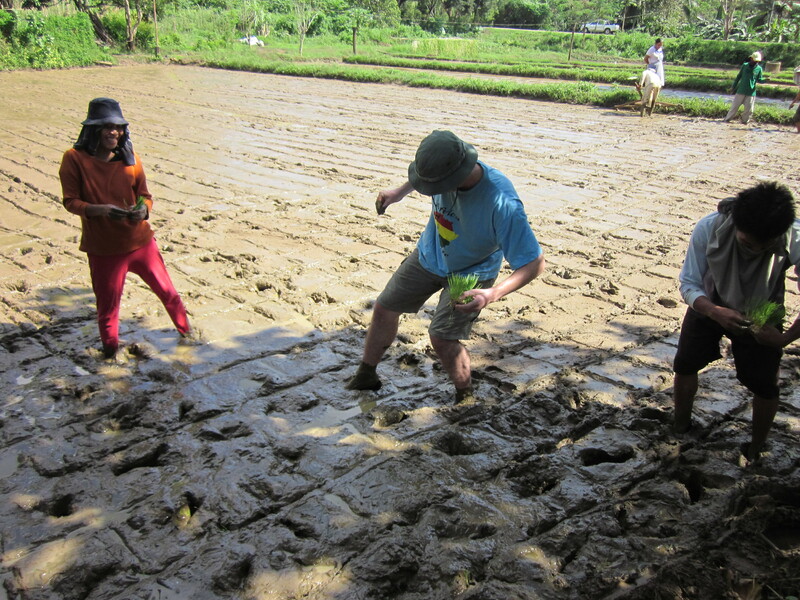 We planted our rice during the last week of November. 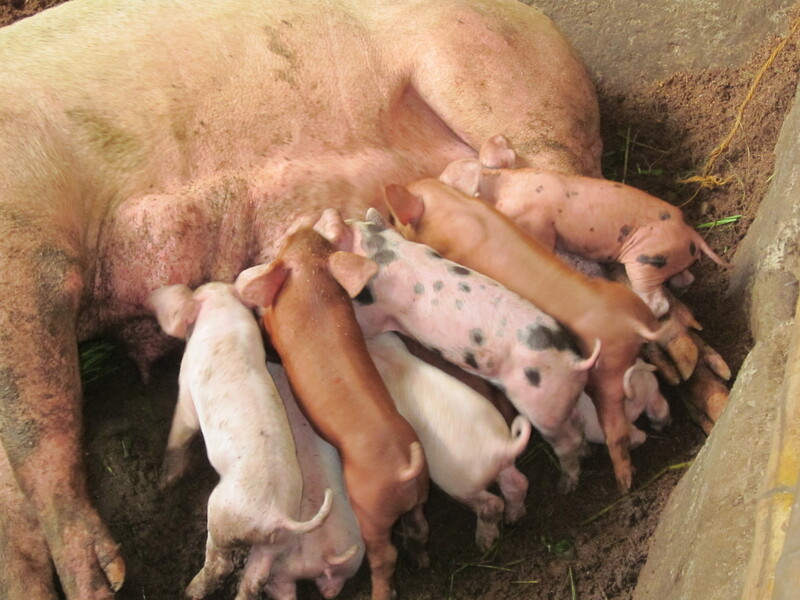 Last week our soe Teeny weeny gave birth to 10 piglets. All are doing well in a “happy environment” on natural bedding and kept healthy with EM. The odorless pigs on the deep saw dust bedding (korean Natural farming) is still a very popular corse and the pork is in great demand. At Last the rains have arrived! 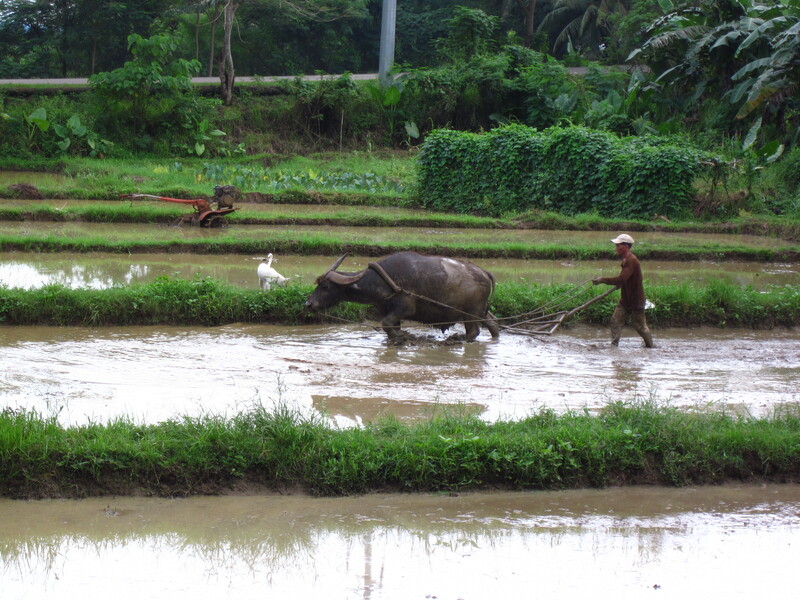 In May when the rains arrive the first rice crop is planted on about 155,000Ha but this year only 44,000ha could be planted due to inadequate rain fall. 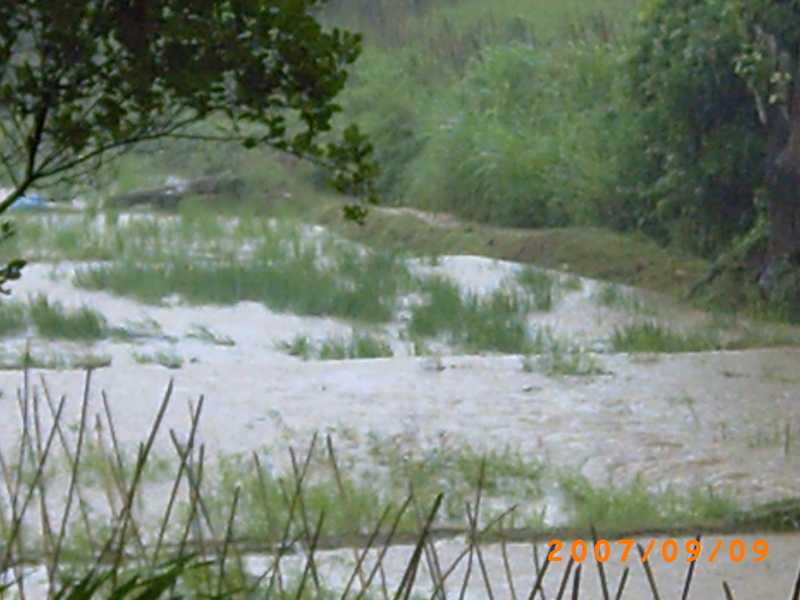 Now the rains have arrived and the farmers are busy preparing the land. 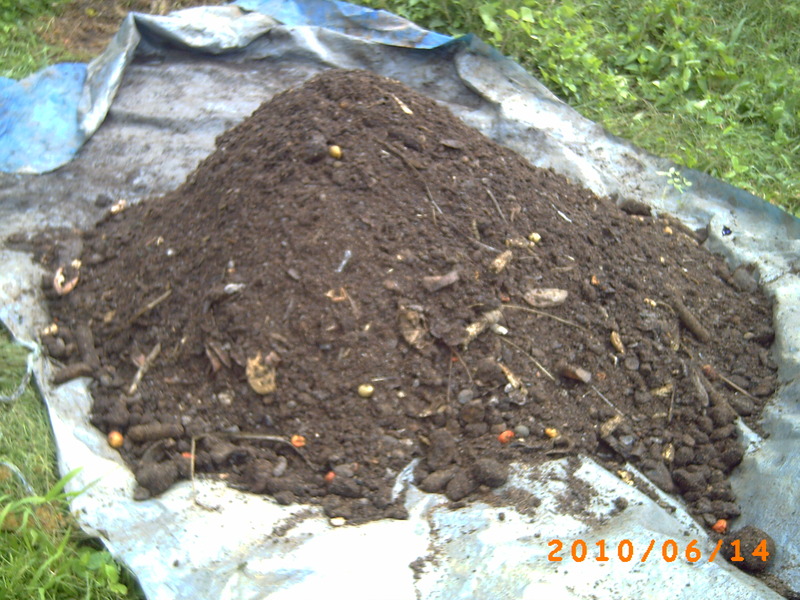 We are big on soil fertility. 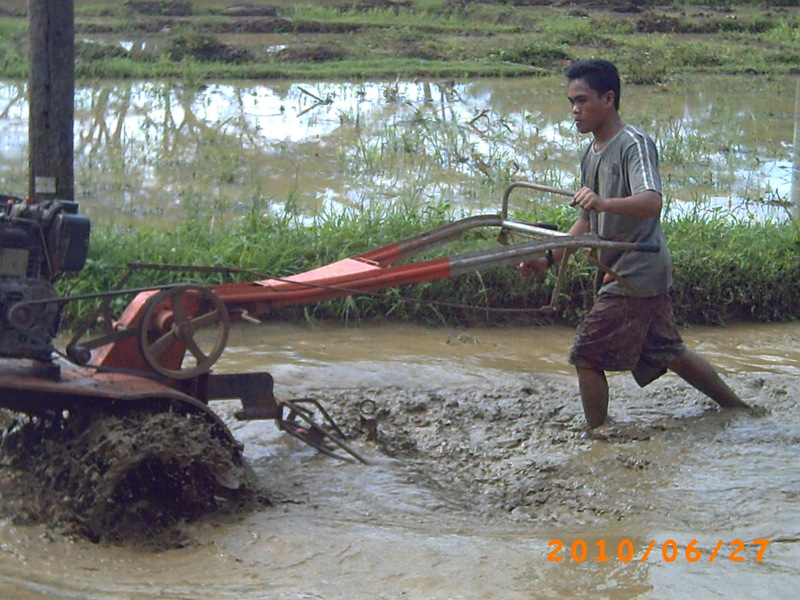 The previous crop had been fertilized with Limestone and Bat guano, now the residue from that crop is being ploughed in along with PhilRice Bokashi to feed the rice crop.